In cammino sulla più grande isola d'Europa. Walking on the largest island in Europe. Non vedo nessuno, solo le tracce di innumerevoli “qualcuno”. Gli anelli di Saturno é un libro straordinario, che ho letto recentemente, perché mosso dalla curiosità di scoprire i pensieri di questo eccezionale scrittore contemporaneo durante un suo vagabondaggio a piedi nel Suffolk, in luoghi a me cari e in cui andrò a camminare in tarda primavera assieme ad un gruppo di altre persone. I can’t see anyone, just signs of countless “someones”. The Rings of Saturn is an extraordinary book which I have recently read, prompted by my curiosity to discover this exceptional contemporary writer’s thoughts whilst roaming Suffolk on foot, in places which are dear to me and where I will go walking in late spring together with a group of other people. In actual fact, the details observed by Sebald and his planned and spontaneous encounters lead him to write about tales which are seemingly distant in space and time: the Viscount Chateubriand, the silk merchants, the Panorama of Waterloo, the hurricane of 1987 in East Anglia, the Temple in Jerusalem, the Empress Dowager Cixi, and so on, and so on….yet all of these are closely connected to his experience, to him (and I wonder who else before and after him) and to the places he visits, like ice crystals which revolve in the ring-shaped orbits around the equator of the sixth planet in our solar system. 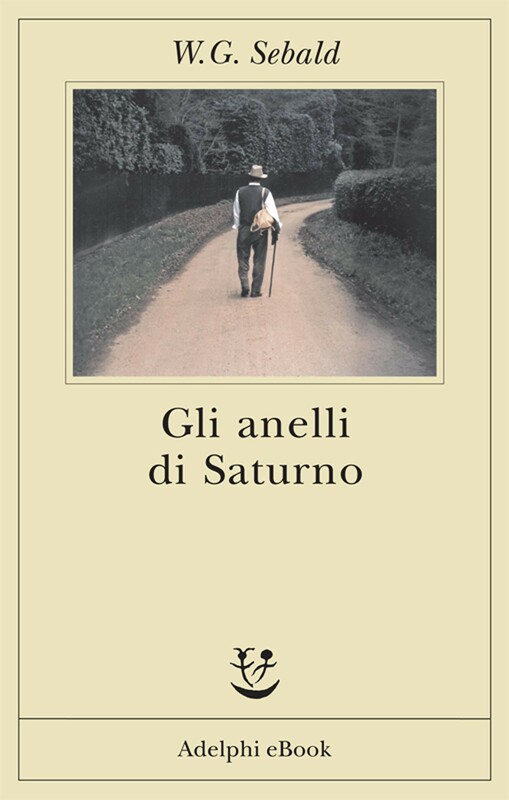 The Rings of Saturn cannot be classed as travel literature, even though it is about a journey, but it is much more: the perfect book for those who love what Luca Gianotti would call The Art of Walking.